Waterfront cabin in Annis Bay properties with Coop ownership. Share sale makes this affordable! 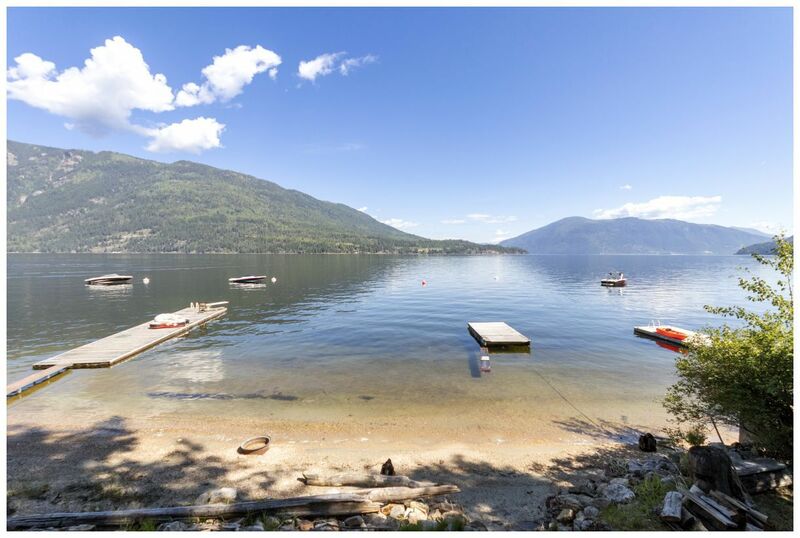 2 Bedroom panabode cabin right on the shore of Shuswap Lake, this family cabin will provide tons of memories as it has for the sellers. Located in between Sicamous and Salmon Arm with easy access from the Trans Canada Hwy. Fully functional cabin has kitchen, full bathroom and wood burning fireplace. Open beam, vaulted wood ceilings give this the genuine cabin feel. The huge lakeside deck is just steps away from the sandy beach perfect for swimming and boating. Includes all furnishings, appliances and dock. The sale is for the Share in corporation that owns the title to the land; known as a COOP title whereby the owners have an undivided interest in the use of Cabin #10 and the common property. Traditional financing options do not apply to these purchases. See more info here at www.BIGRob.ca including our drone video then call Rob McKibbon to personally view this property today! 250-804-6288 or SOLD@BIGRob.ca Thanks for your interest.